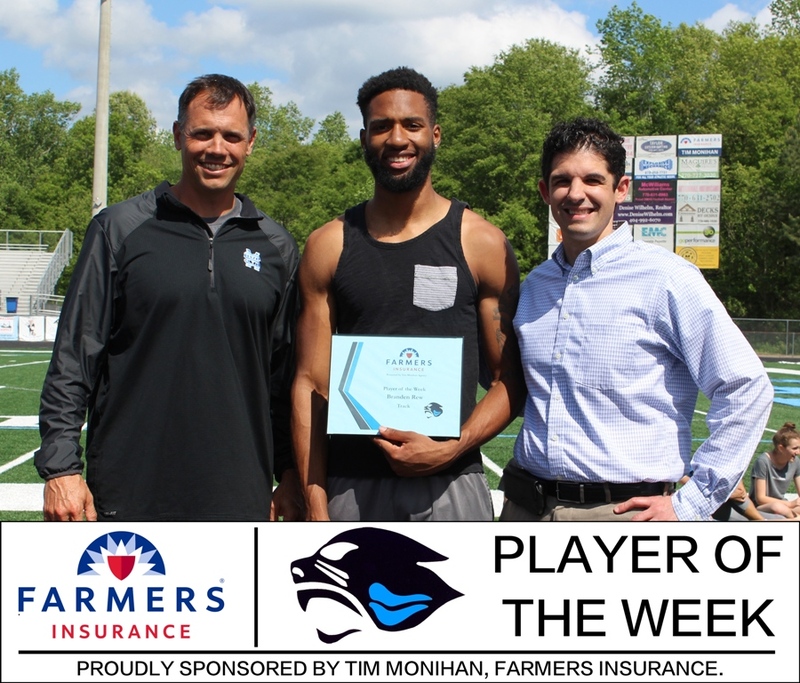 Tim Monihan and Farmers Insurance in Peachtree City named senior runner Branden Rew as the eighth Player of the Week for the spring sports season. This is the second time Rew has been selected for the award this school year. Rew finished first in 300-meter hurdles at the region 3-AAAAA meet with a time of 39.43 seconds, and third in the 400-meter race with a time of 49.70 seconds. He was the anchor leg for the 4×400-meter relay where Starr’s Mill placed 4th. Rew set a personal record in every event he participated in, and will go on to compete in the State Sectional meet on April 28 in Panther Stadium.